Now hear this: Roseanne hasn’t even premiered yet, but ABC already can’t get enough of the Conners. The revival of the beloved ’90s sitcom had been slated to return for eight episodes next spring, but ABC has reportedly ordered an additional episode of the series, meaning we’ll now be checking back in on the Conner family over the course of nine episodes. The Roseanne revival season will see all of the Conners returning to their iconic roles — including Roseanne Barr (Roseanne), John Goodman (Dan), Sara Gilbert (Darlene), Laurie Metcalf (Jackie), Michael Fishman (D.J. ), and Lecy Goranson (Becky). Even Sarah Chalke, who took over the role of Becky from Goranson during the later seasons of the series will return — albeit, in a different role. The Big Bang Theory star Johnny Galecki, who played Darlene’s boyfriend (and later husband) David, will also appear in the revival. It certainly doesn’t surprise us that ABC is looking for more Roseanne. 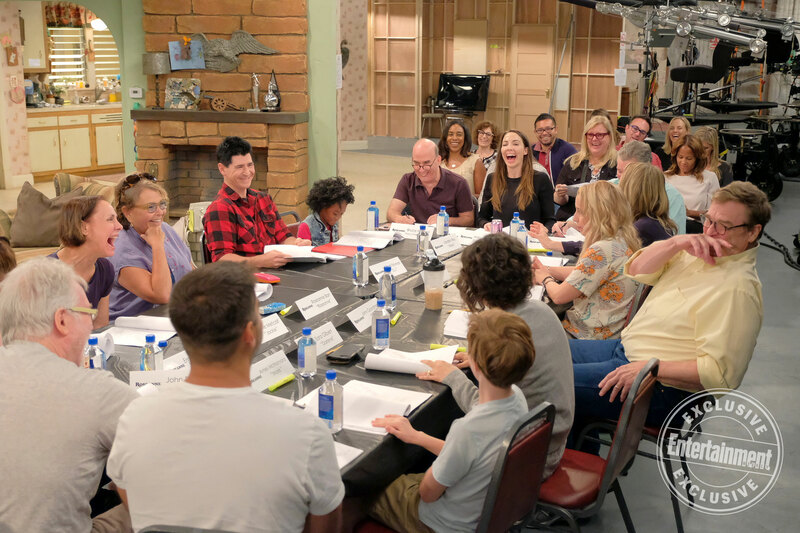 Last month, Entertainment Weekly revealed a photo from the first table read and it seems as though the show is as funny as ever. While not too much is known about the upcoming revival, it’s been confirmed that it will essentially ignore the series finale — which revealed that Dan had died from a heart attack, Darlene was actually married to Mark, and Becky was married to David. Phew! The additional episode order comes on the heels of the success of NBC’s Will & Grace revival. The series was initially commissioned for a 10 episode order before being upped to 16 episodes, with an additional season renewal. Like Roseanne, the NBC sitcom was also faced with a controversial finale in which title characters Will and Grace had a falling out and hadn’t seen each other in 20 years, something the revival opted to ignore altogether. But back to Roseanne: The revival is set to premiere on ABC next spring, and we can’t wait for that extra episode!